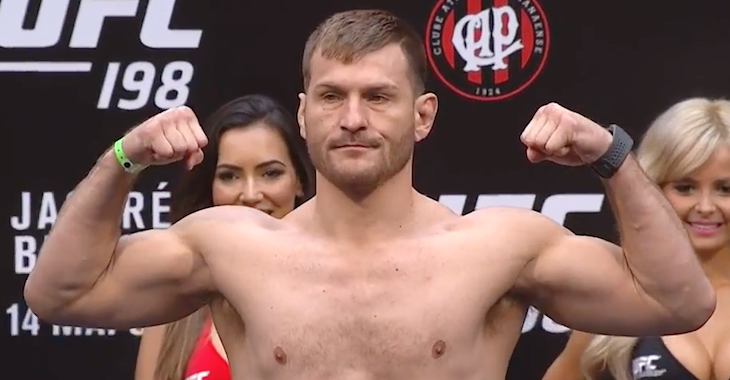 A lightweight bout between Francisco Trinaldo (20-4 MMA) and Yancy Medeiros (12-4 MMA) took place on tonight’s UFC 198 prelims in Curitiba, Brazil. Round one begins and Yancy starts things off with a kick to the body. Trinaldo shoots in and gets a body lock on Medeiros. He presses the Hawaiian against the fence and begins working for a takedown. Yancy turns Francisco around and lands a knee to the body. Trinaldo replies with a nice knee of his own. 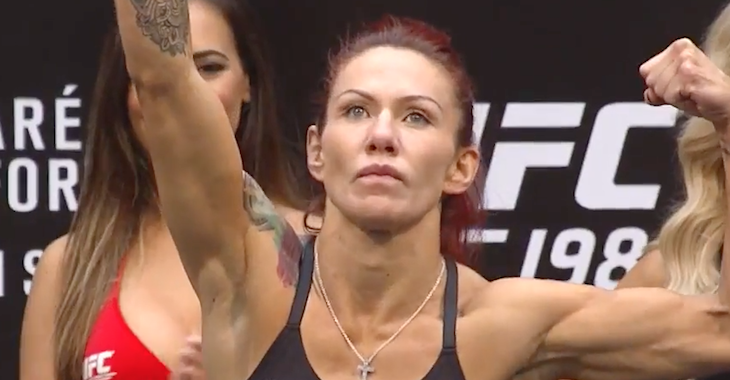 The fighters finally break from the clinch position. Medeiros with a nice left hand. Yancy responds with a stiff jab. Trinaldo with a nice combination. He lands a left hand over the top. Trinaldo is throwing bombs. Medeiros is hurt. He throws a spinning back kick. Another massive shot lands for Trinaldo. Francisco is throwing all he has but Yancy won’t go down. Medeiros is saved by the bell and Trinaldo looks exhausted. Round two begins and Trinaldo starts off with a kick to he body of Yancy. Medeiros comes forward with punches. Medeiros with a left but Trinaldo counters well. Yancy with a leg kick. Big right hand from Francisco. Medeiros seems to be ok and lands a kick to the body. 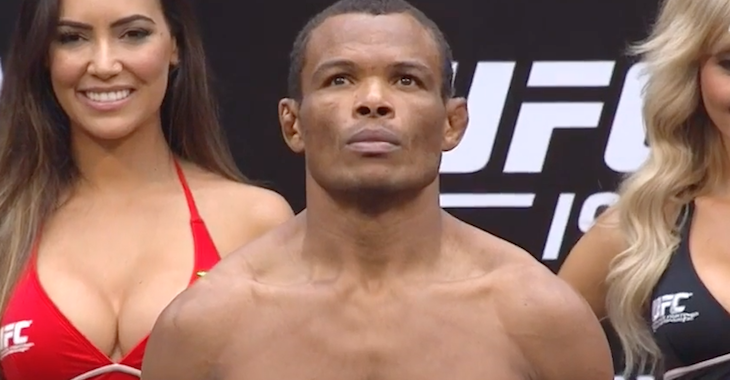 Trinaldo looks tired. He is taking some deep breaths. Medeiros with an uppercut. Trinaldo responds with a nice left and then another. 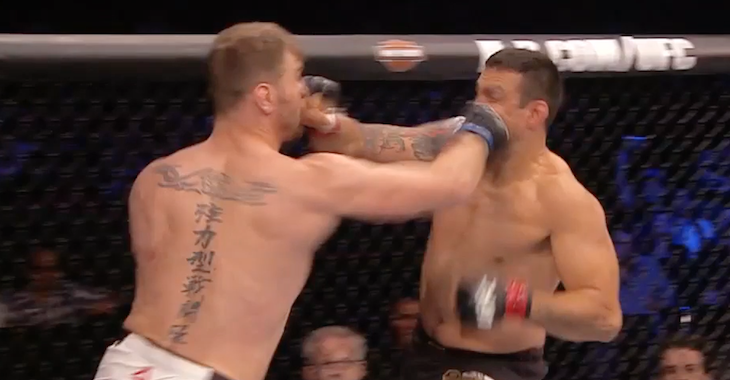 Medeiros shoots in but Trinaldo grabs a hold of his neck. Yancy stands up but eats a knee. Huge lefts hands from Trinaldo. Medeiros is rocked but hanging in there. Trinaldo looks exhausted and gets nailed with a kick to his mid section. He charges forward with some slow shots. Medeiros with a nice body shot and another. Trinaldo is taking some really deep breaths. Medeiros with a leg kick. He lands a huge right hand that drops Francisco. He comes to the ground and lands a couple of shots on Trinaldo as round two comes to an end. Round three begins and Yancy lands a front kick to the body of Trinaldo. Medeiros is working his jab. Trinaldo replies with a leg kick. Yancy catches the Francisco kick and lands a kick to the body. Trinaldo comes forward and lands a left hand and then follows that up with a hard body kick that stuns Medeiros. Trinaldo with a huge left. The fighters trade shots. This is a war. 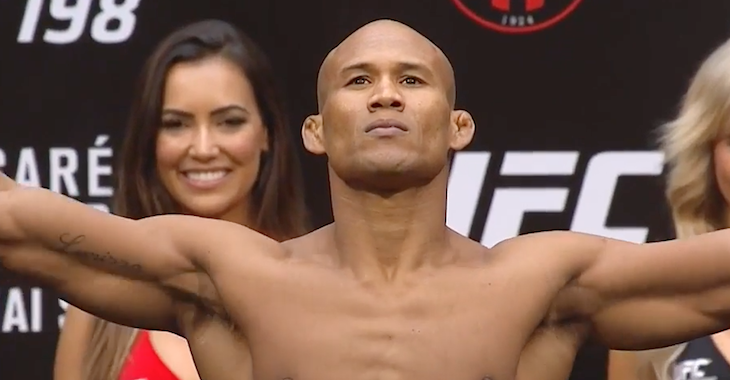 Trinaldo with a massive left hand. Yancy crashes to the floor. Trinaldo with punches and elbows from the top. Yancy is still fighting back and gets up to his feet. 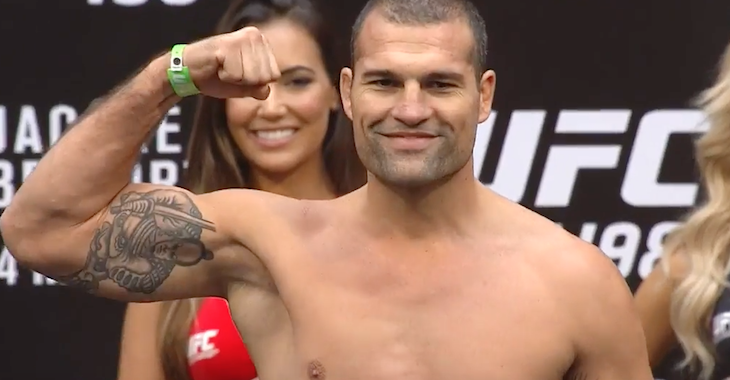 Trinaldo with another big left hand. He lands a knee that sends Yancy to the floor. Hammer fists from Trinaldo. He’s landing some lefts. Yancy stands up again. This is insane. The heart of Yancy Medeiros. The Hawaiian scrambles and winds up in top position. He begins working from full guard. He lands some good shots from the top as round three comes to an end.